This is part seven of our series Dream Bigger. In 2018 we are celebrating 75 years since King's Church International was founded and it is a time to dream bigger dreams for what God is going to do. Part 7 of the series is New Influence, and you can listen to the podcast or read the summary below. Recognise that growth is promised, and natural, and understand what we must do so that we enter into those promises. Growth is promised when we focus on being disciples and disciple-makers. As a church, we have already seen tremendous growth this year, but we are believing for and expecting more. There may be areas in your life where you feel stagnant. Before you experience growth you need to understand the promises you’ve been given. Read Genesis 1:28, Exodus 1:6-7, Acts 2:41, Isaiah 9:7 and see the promises and examples of what natural spiritual growth looks like. In your ministry, you may feel like you have tried and failed. But in John 12:24 it says "Very truly I tell you, unless a kernel of wheat falls to the ground and dies, it remains only a single seed. But if it dies, it produces many seeds." Wherever or whenever you have planted seeds in the past, believe that God will bring these back to life and be ready to reap a big harvest! I will see miraculous growth in all areas of my life. This is part six of our series Dream Bigger. In 2018 we are celebrating 75 years since King's Church International was founded and it is a time to dream bigger dreams for what God is going to do. Part 6 of the series is New Influence, and you can listen to the podcast or read the summary below. See the power of a life that is lived for God. Understand that the influence of our lives, our families, and our church can change the world. We all contain a huge potential to be influences wherever we go. God has equipped you with everything you need to influence the people and places He has called you to. Pray for opportunities to be an influence this week. Your family are also called to be an influence. If there are things in your family stopping you from reaching your potential, resolve them. Pray together, forgive each other and move forward as a unit into the promises God has for you. As a church, we are moving into a new spiritual atmosphere where we will see great change. The church is called to restore that which has been broken, in our towns and in our nation. Isaiah 58:12; "Your people will rebuild the ancient ruins and will raise up the age-old foundations; you will be called Repairer of Broken Walls, Restorer of Streets with Dwellings." Each one of us has a part to play to see the Kingdom of God here on Earth. Pray and hear what it is God wants you to do to build His Kingdom. I am called to be an influence wherever I go. Thank you Lord that I am called to be an influence to others. Help me to always walk in Your ways and to be a light wherever I go. Amen. This is part five of our series Dream Bigger. In 2018 we are celebrating 75 years since King's Church International was founded and it is a time to dream bigger dreams for what God is going to do. Part 5 of the series is New Praise & Worship, and you can listen to the podcast or read the summary below. "Once when we were going to the place of prayer, we were met by a female slave who had a spirit by which she predicted the future. She earned a great deal of money for her owners by fortune-telling. She followed Paul and the rest of us, shouting, “These men are servants of the Most High God, who are telling you the way to be saved.” She kept this up for many days. Finally Paul became so annoyed that he turned around and said to the spirit, “In the name of Jesus Christ I command you to come out of her!” At that moment the spirit left her. The jailer called for lights, rushed in and fell trembling before Paul and Silas. He then brought them out and asked, “Sirs, what must I do to be saved?" They replied, “Believe in the Lord Jesus, and you will be saved—you and your household.” Then they spoke the word of the Lord to him and to all the others in his house. At that hour of the night the jailer took them and washed their wounds; then immediately he and all his household were baptized. The jailer brought them into his house and set a meal before them; he was filled with joy because he had come to believe in God—he and his whole household." We need to understand that we need to see the victory by entering a new level of consistent and powerful praise & worship in every season of life. We were made to worship! God has called us to be joyful in all seasons. Think about the situation Paul and Silas were in. They were stripped, beaten, mocked and thrown in prison but they still sang songs of praise to God. 1 Thessalonians 5:18; "give thanks in all circumstances; for this is God’s will for you in Christ Jesus." If you are facing a tough situation this week, worship and give thanks to God. Focus your mind fully on the majesty of God. Start by thanking God for everything He has done, and every blessing, and allow praise to overflow from your heart. Be encouraged by these passages and declare them over your life this week. Proverbs 18:21; "The tongue has the power of life and death, and those who love it will eat its fruit." Psalm 34:1; "I will extol the Lord at all times; his praise will always be on my lips." Thank you Lord for every blessing you have given me. Thank you that you go ahead of me and promise to always be with me. Help me to praise you this week, in all circumstances. This is part four of our series Dream Bigger. In 2018 we are celebrating 75 years since King's Church International was founded and it is a time to dream bigger dreams for what God is going to do. Part 4 of the series is New Leaders, and you can listen to the podcast or read the summary below. We received a really powerful word this week that challenged us all to think about how we are personally developing as leaders. We must recognise that the only way the church will grow is by seeing new leadership; from many people and in every area of our lives. You may have been really challenged by the message this week. Have you accepted God's call of leadership on your life? We are all called to be leaders, no matter what that may involve. Declare this verse this week as you ask God to reveal His calling of leadership on your life. 2 Timothy 1:7; "For the Spirit God gave us does not make us timid, but gives us power, love and self-discipline." God has called me to be a leader, His Spirit is on me and He is with me. Thank you Lord that you have called me to lead, I pray that you would reveal this calling to me and give me the strength and courage to fulfil it. In week 3, we heard that it's time to make a new commitment to Jesus Christ, His church and each other. This second week, we were taught that in order to see our calling and our ministry begin, we need to have a new, fresh anointing of the Holy Spirit. 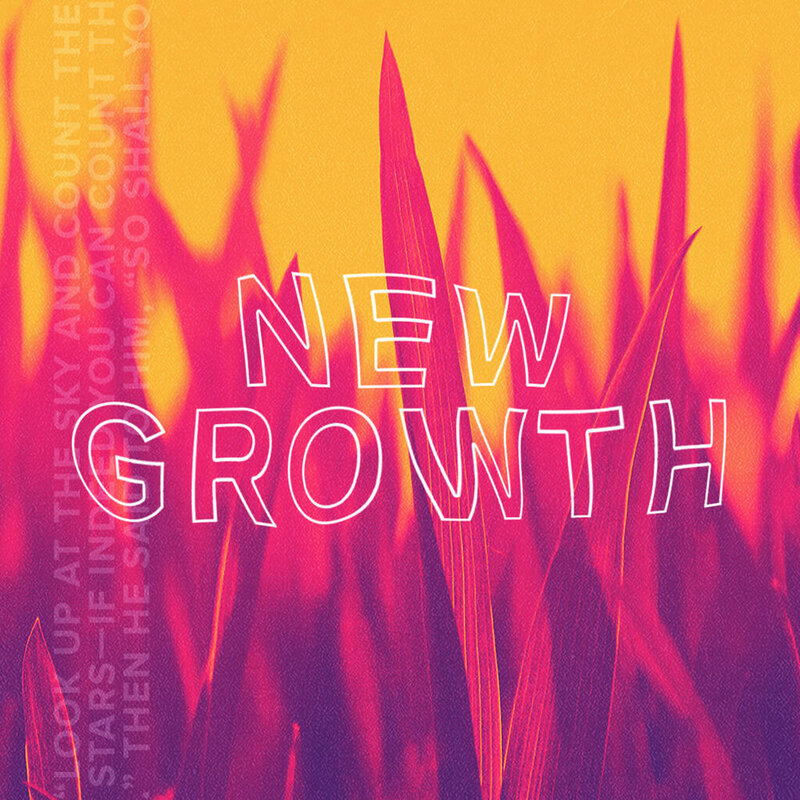 The first week in our summer series taught us that this is a time of new beginnings, not just in our personal lives but also in our families, our church and our nation. This year we were pleased to have more than sixty members of the church travel over 5,000 miles to Bogota, Colombia to receive from God at the G12 International Conference in January. Learn more about what we received.